Casablanca is the largest city in Morocco, with a population of around 6 million people. It is located to the west of the country, bordering the Atlantic Ocean. Considered the financial capital of Morocco, the city also displays a rich history and culture, serving as a gateway for many tourists to further explore the hidden treasures of Morocco. Cheap flights to Casablanca are now available for a limited time only, so book your flight today and experience the colourful charisma and historical wonders of this city! Casablanca is home to Mohammed V International Airport (CMN), situated 40 minutes from the city centre, accessible by car and train. 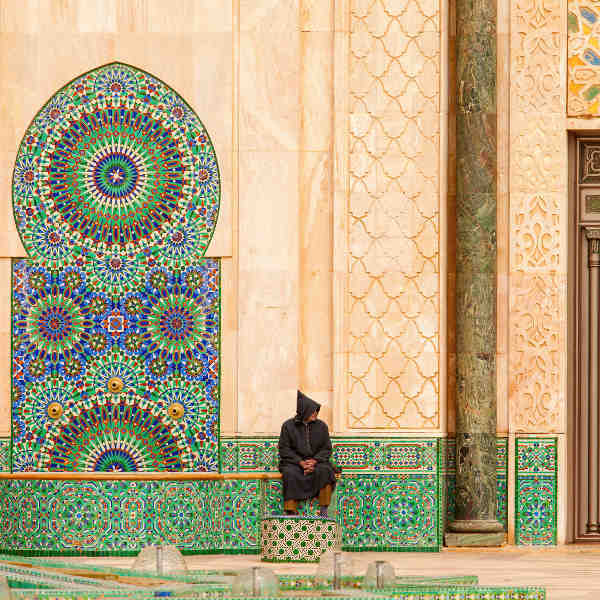 See how eastern and western cultures have influenced the customs and architecture of the city, evident in the buildings in the central Square of Mohammed V and the majestic Hassan II Mosque. Palm-fringed beaches line the coastal city, with popular surf spots at Monica Beach and great restaurants along La Corniche. Enjoy a stroll through Parc de L'Hermitage after a busy day of shopping. Take a step back in time as you wander the colourful, dusty streets of Medina, the aromas of sweet spices filling the air as you bargain your way through patterned fabrics and authentic souvenirs. 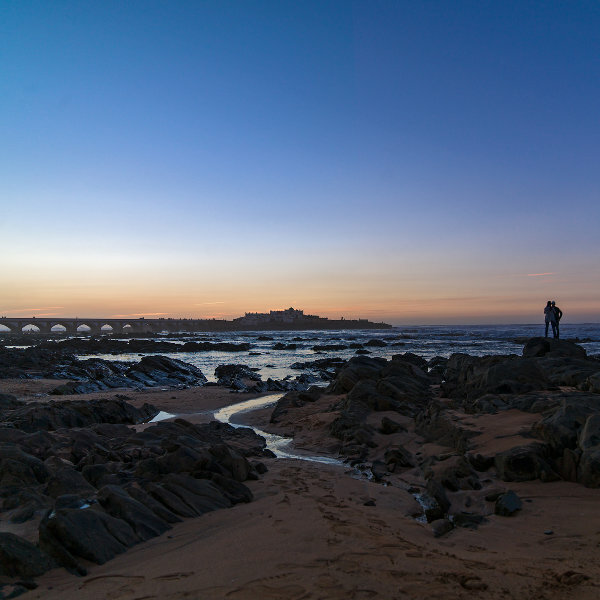 Casablanca welcomes visitors all year round with festivals and activities taking place each month! Spring (occurring from March to May) is a great time to visit as the weather is warming up and there are no crowds. This is an ideal time to explore the cultural side of the city in its museums and art galleries, minus the queues. Summer, falling between July and September, brings a very hot and dry climate, perfect for the beach. The winter months of December to February are a great time for hiking as temperatures cool down to around 10°C. Made famous by the Hollywood film, Casablanca is the industrial and economic heart of Morocco. It is one of the country’s top tourist destinations with many hidden gems to discover and enjoy. Although this city can get very hot during peak summer, the cool breeze from the Atlantic current brings relief as locals and tourists flock to the beautiful, sandy beaches of Mohammedia and Tamaris. 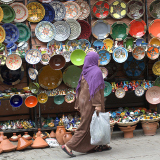 Meander through the old streets of Medina and see the locals bustling through the alleys, displaying their colourful souvenir stalls and bags of spices. 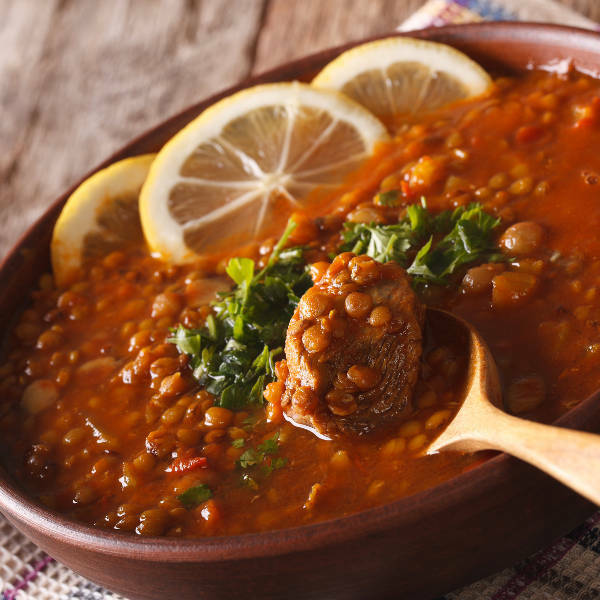 With flavourful cuisine, interesting cultures and impressive architecture, this Moroccan city beautifully illustrates the Mediterranean and Arabic influences that will captivate your eyes as well as your taste buds. Compare several airlines, and book your cheap flights to Casablanca online at Travelstart. This is a very safe city to visit, although it is advised to remain vigilant at all times from petty crime that takes place from time to time. Morocco is one of the few African countries where no vaccinations are required. Casablanca is a malaria-free zone, although it is recommended to pack insect repellent as a safeguard against mosquitos. Only drink bottled water and be sure to take some from your hotel fridge if you’re going out for the day. Be wary of uncooked foods, especially from street vendors; only eat fresh food you can peel. Use plenty of sunscreen if you’re travelling during the hot, summer months. The best place to stay in Casablanca is the city centre. Because of its centrality, you’ll be in the heart of all the main attractions and a stone’s throw away from the beaches and port. The district has a very cosmopolitan feel with its vibrant nightlife, luxurious shopping malls and authentic markets. Walk around the streets and take in the old French colonial buildings, religious landmarks, a sprawling art scene and the narrow alleyways of the old Medina town. 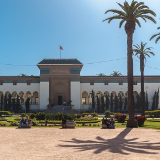 The central plaza, known as Place Mohamed V, is where you’ll find landmarks like the Palace of Justice and the main Bank of Morocco. A few blocks away, the bustling central market displays a wide range of clothes, food, spices and souvenirs. Youth hostels and budget hotels are located in the Medina, where you can expect to pay around MAD 70 (a hot shower will cost around MAD10). Along the beachfront area there are many stylish hotels, where you can choose between a splash in the pool and a refreshing swim in the sea around the corner. Travelling around the city is easy and convenient. Public transport links are so well-connected that a short bus, tram or taxi ride will get you where you need to be in just a few minutes. Petit taxis are metered and can carry up to three passengers. If the taxi is not metered, agree on a price beforehand and make sure the driver doesn’t try to overcharge you. Buses can get rather chaotic and full, so if you require some leg room, rather opt for an air-conditioned luxury bus or shared taxi. The train network in Morocco is excellent, linking most major cities around the country. Trains are fast, comfortable and reasonably priced. Shuttle buses are available between the airport and city centre.